Riding on unfathomable volumes of industrial expertise, we are engaged in offering a broad assortment of Railway Wooden Sleeper. Dimension: 6' x 4" x 6"
Specification followed to IS-10394 of 1982. Indian Railway specification also followed. Sal wood is most durable timber. Also supply any kind of timber size and planks. Railway wooden sleeper made out by sal wood. 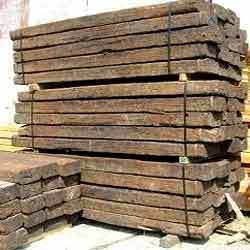 Old Railway Wooden Sleepers available in huge quantity. We are at our place one of the well known supplier of Railway Wooden Sleepers. We are a leading Manufacturer and Supplier of Wooden Sleepers in Delhi. Our Wooden Sleepers are manufactured with the use of high quality timber to ensure high tolerance against pressure and weight. Our Wooden Sleepers are used by the Railways for laying down the tracks. These Wooden Sleepers are provided at market leading prices. 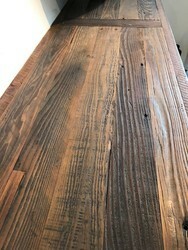 Our Wood is the solid interior of a tree. It is the hard, fibrous, inner part of tree trunks, branches & stem. It is basic component of all ply & related products. More details to contact us.